Mulbarton now has a defibrillator at the entrance to the Village Hall. 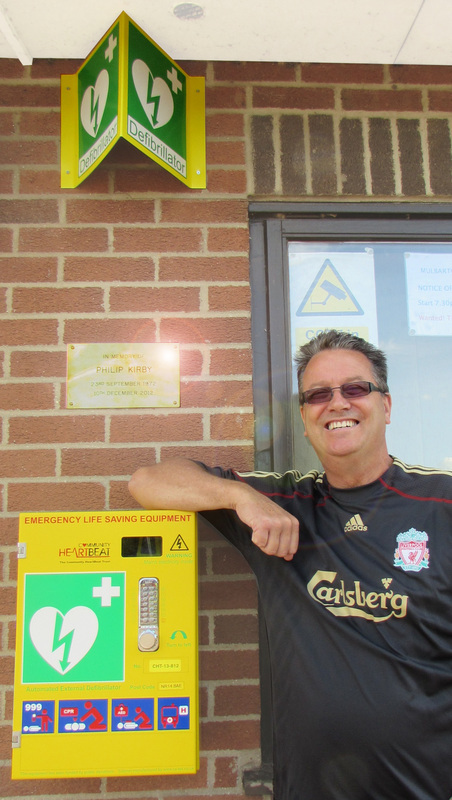 The new defibrillator pictured here with Village Hall Chairman, Michael Sutcliffe. then follow the simple instructions printed on the unit. Visit Philip Kirby's site currently raising funds for the Norfolk Heart Trust.